Anyways, I wasn't going to bother posting about the busted screen. I kind of figured that it's just a blip in my timeline, but then I realized that I haven't done much in personal blog posts and decided that this is a perfect opportunity to get a personal post up. At the very least, a post to let you guys know what I've been up to. First and foremost, I'm excited about the podcast. I really enjoy doing it and I definitely have "the bug." Brian and I have good chemistry (I like to think so, at least) and our shows have been pretty smooth and I'm sure that as we continue to do more, the more intune we'll be with each other's mannerism and become a well oiled machine! Our show is only in it's second month and already we have already had some pretty awesome guests on our show. I've been promoting the hell out of it and am trying to get it on as many outlets as possible. I still haven't been able to get it in the iTunes directory, but you can subscribe to it on iTunes by using this link. I was hoping that a business relationship I had with the Nintendo PR people would materialize into great things for you, the readers, but that is currently on hold due to some unforseen setbacks. No worries, though. I'm going to start from scratch and see if I can build a relationship with a new contact there. I was really hoping to be able to obtain promo items from them to giveaway to you guys. I know it's a little ambitious of me to think it could happen, but hey, you got to reach for the stars, right? So there ya go! That's what I've been up to the last couple of months. I'll try to get more updates for you guys as things develop. I know... I'm pretty bad at that. It's one of the many things that I am working on to make myself a better person and this site a better place. Thanks again, friends, for sticking with me throughout the years. Trust me... this ride is only going to get better. Later! I can't wait to read the post about fixing your laptop screen. I'll remember to come back here in case I ever have to do it. Wow. That was very upsetting. But good thing it has already a replacement. :) Yeah! 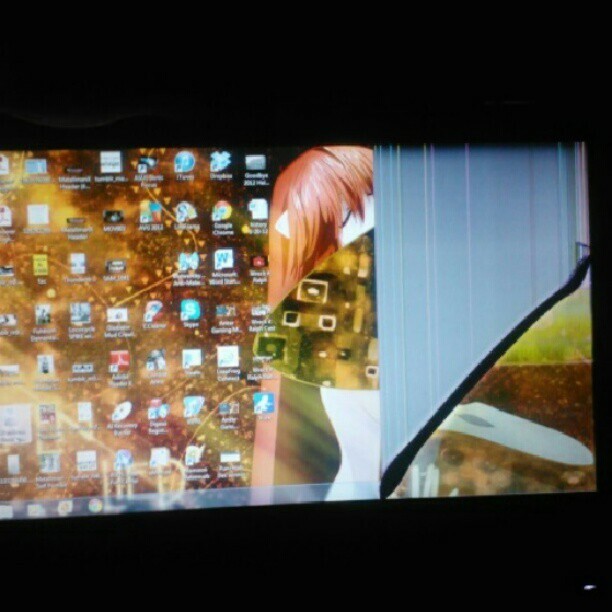 post a tutorial about fixing a broken laptop screen. I'm sure lot's of people will be interested on it.